Inside Irvine California is a housing development called Woodbridge. Woodbridge is a community that is home to two lakes, beach lagoons, pools, numerous parks and so much more. There are elementary schools, middle schools and one of the best high schools in California. 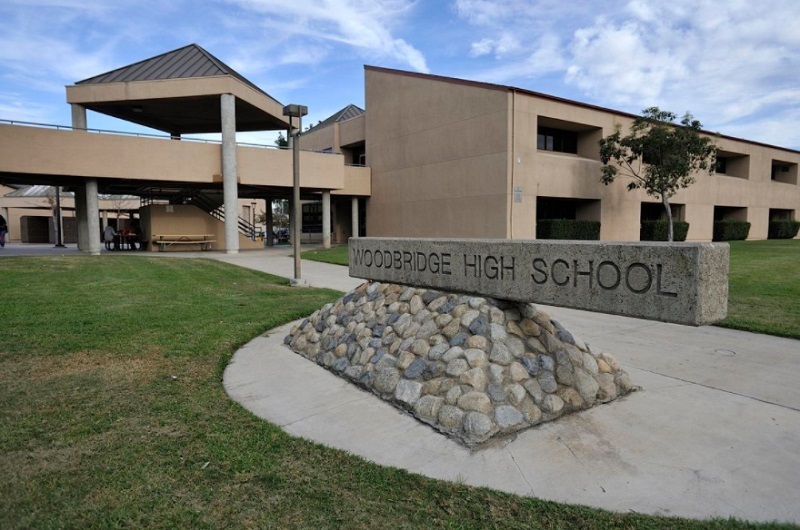 Woodbridge High School is part of the famous Irvine school district and was founded in 1980. 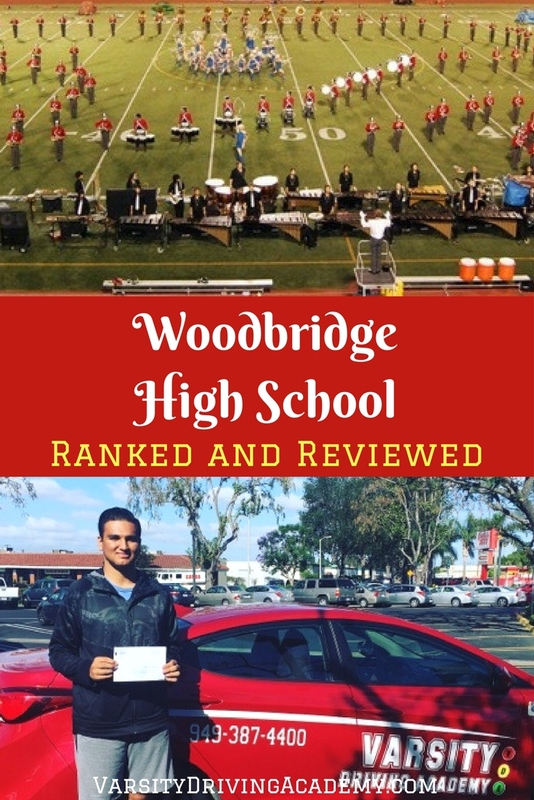 Woodbridge High school has been rated and reviewed by Great Schools and the overall score is great. Great Schools is a nonprofit organization that ranks schools to help parents make a decision and Woodbridge High School has ranked well. 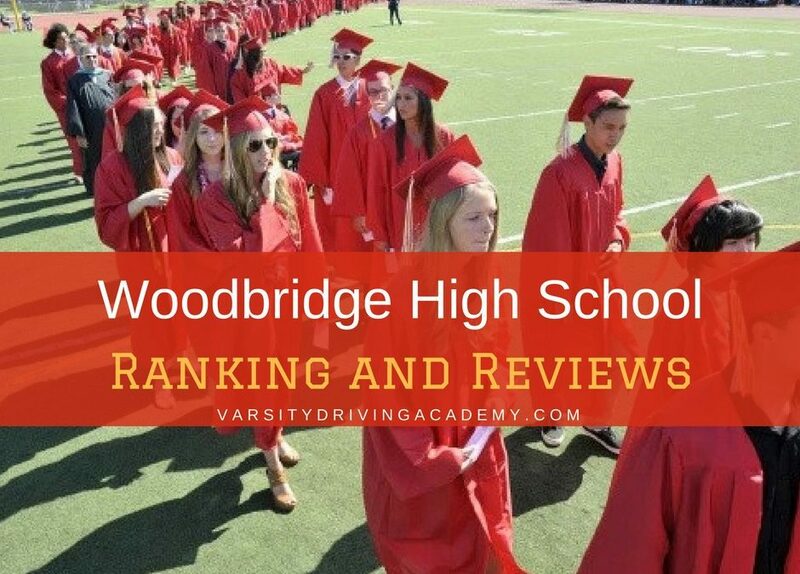 Woodbridge High School has been analyzed based on test scores, college readiness and advanced courses offered. Compared to the state average, Woodbridge High students do far better in science, math, and English. In fact, in each category, at least 30% more students are passing tests in each of the categories mentioned above. Woodbridge students are also more prepared for college. Out of the 95% of Woodbridge students who graduate, 66% graduate with UC/CSU entrance requirements completed and have an average SAT score of 1762. Part of the reason these students are so prepared is because there are many advanced courses offered and many of the students take part in them. There are almost 30 different advanced courses offered at Woodbridge High School. Great Schools looks at the gaps between different groups of students. If there is a major gap between the different groups, then a school’s equity is ranked low. The groups of students are divided by race/ethnicity, disabilities, and low-income. Woodbridge High ranks high with equity due to the test scores of the many different groups of students. In fact, test scores of low-income students and students with disabilities at Woodbridge are scoring above the state averages. The environment at a school is important to the growth of the students. Woodbridge High School is a very diverse school. 43% of students are White, 35% are Asian, 12% Hispanic, 4% two or more races, 3% are Filipino, and 2% are Black. One of the most interesting things about Woodbridge is that the gender gap is split right down the middle. Most schools in California also have a student: teacher ratio of 22:1 and a counselor: student ratio of 830:1. At Woodbridge High School the teacher: student ratio is 26:1 and student: counselor ratio is 451:1. Most schools in Orange County have a slightly less favorable student: teacher ratio. However, the test scores show that it’s working out well. Varsity Driving Academy teaches Woodbridge students how to drive safely and defensively. Our goal is to help these students prepare for their bright futures. We succeed more often than not due to our flexibility in learning how to drive. We don’t want to add more weight to the shoulders of our students, instead, we pick them up and train them to drive. After the behind the wheel training session, we drop the students off at home. This is one of the many different ways we make learning how to drive easier for students and their parents.